Forklift Singapore favourite way of increasing productivity. We have a wide range of forklift solutions. From small battery forklifts to large forklifts of 10Tons capacity and even container handlers or reach stackers. Regardless of your budget, we will be able to find the right truck, whether you’re looking to buy, rent, lease, repair, sell or trade-in your forklift truck, we are right here in Singapore for you. All you need to tell us what your requirements are and we will get a proposal for the truck to you! Unsure of which truck to get and would like to understand more before buying anything? Read on! If not, scroll to the bottom and drop us an email! We will help you get the right stuff. How To Choose A Forklift? Other than the brands available such as Maximal, Toyota, Nichiyu and Hysters, choosing the right equipment is never easy. Let us guide you through the process to make it easy for you. Consider your options of getting a diesel or battery truck. Electric forklifts runs on battery and most of the time will require a 3 phase power outlet to recharge the unit. Usage time is around 4-6 hours depending of the cargo and usage pattern while recharging can take between 6-10 hours. This is a good option for indoor warehouses with light daily usage. Diesel forklifts gives you a good operating time and quick refuelling option. The drawbacks are its exhaust which makes it unsuitable for indoor use and the need for a proper fuel storage area. This is the ideal model for heavy users with lots of goods to move about and has good ventilated work area. Another concern is the dust produced by the exhaust means a dusty storage environment which may not be ideal for certain goods. You will also need a designated diesel storage and refuelling point. Which adds to the floor space requirement. What is the load / capacity you are lifting as well as the height you’ll need to lift to? Bear in mind that a forklift rated for 2T and 4M does not mean that it can lift a 2000kg load to 4M high. All forklifts have a chart to show the difference in capacity at maximum height. So a 2T 4M forklift might only carry 800kg when fully extended at 4M as an example. Do you need the forklift to go through door ways? To go through doorways, the mast collapsed height of the forklift must be lower than the doorway height. Not frequent that forklifts need to go through doors but happens. Are you going to load or unload from a container? 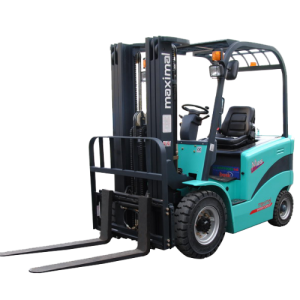 Being able to use the forklift inside a container means that the forks of the truck needs to be able to lift without raising its mast, this feature is called “free lift”. A forklift without free lift means that the mast will always raise together with the forks. Do you need a sideshifter? A sideshifter would allow your load to be moved left or right without the need for the forklift to shift its position. Still Lost At What To Get? Contact us for a quick assessment!